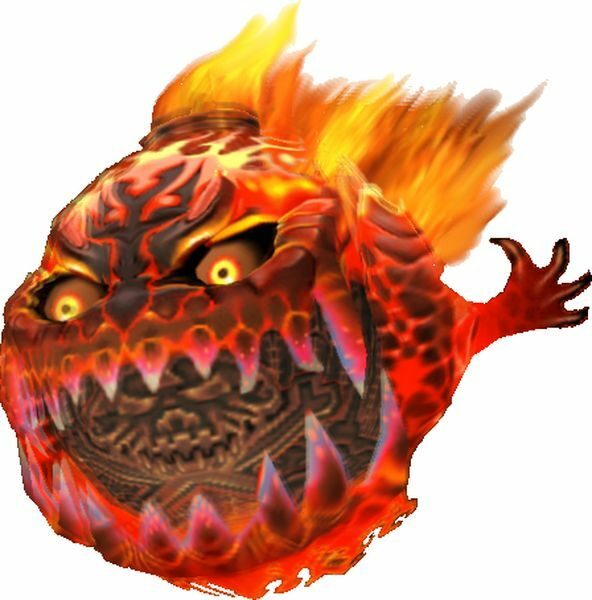 This page contains a boss guide on King Bomb, including boss stats and strategy guide on how to defeat it in Final Fantasy XII: The Zodiac Age (FF12:TZA). Prior to the battle, stock up on some Handkerchief and be sure to have Remedy on hand as this will wipe off the Oil that would otherwise put you in a dangerous situation. A rather risky tactic is to call upon the Esper, Belias, however do not allow him to execute his final attack as this will put you at a disadvantage. The suggested route is to continue with the Main Story first before you partake of this Boss fight. When the battle starts, some normal bombs will spawn and side with the boss. Take out the mob but spare 1 normal bomb to prevent the King Bomb from calling for a new batch to assist him. It will soon attempt to coat your characters with Oil, which charges its Fire elemental damage. Lift its effects off immediately to mitigate being punished by its Fire attribute attacks. When his remaining HP goes down to 50%, he will begin casting Renew and continue to do it more frequently by the time you shave off additional 25% of his HP. At this phase trigger Quickening to take him out for good, or if RNG rolls in your favor, he will stop casting Renew and you can whittle him down until he falls.